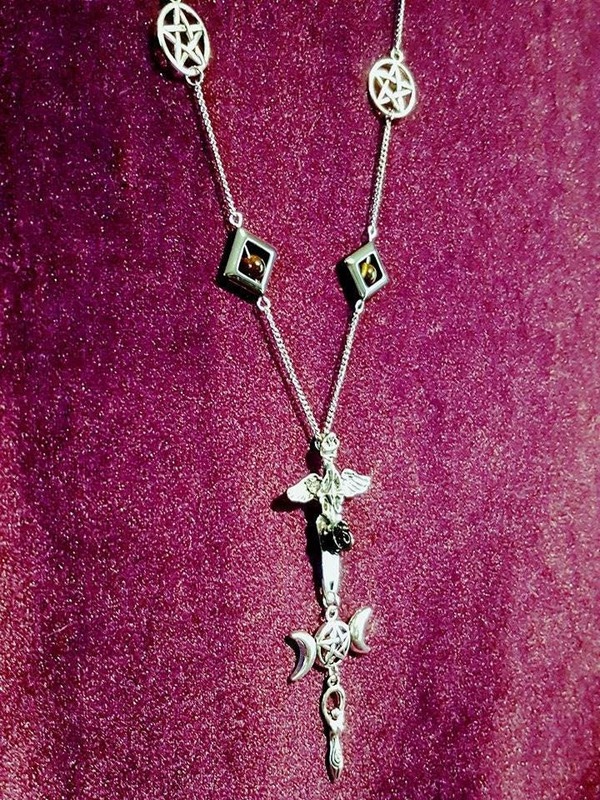 - 63 cm full length necklace. 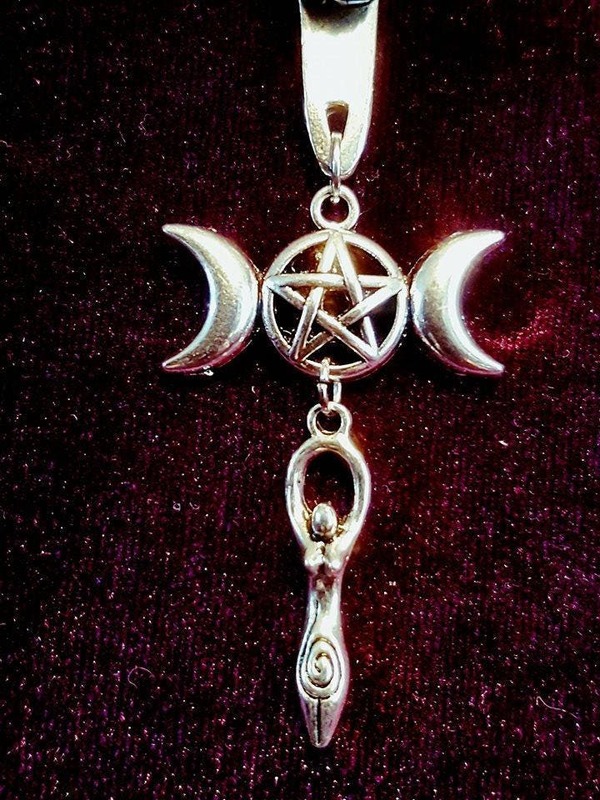 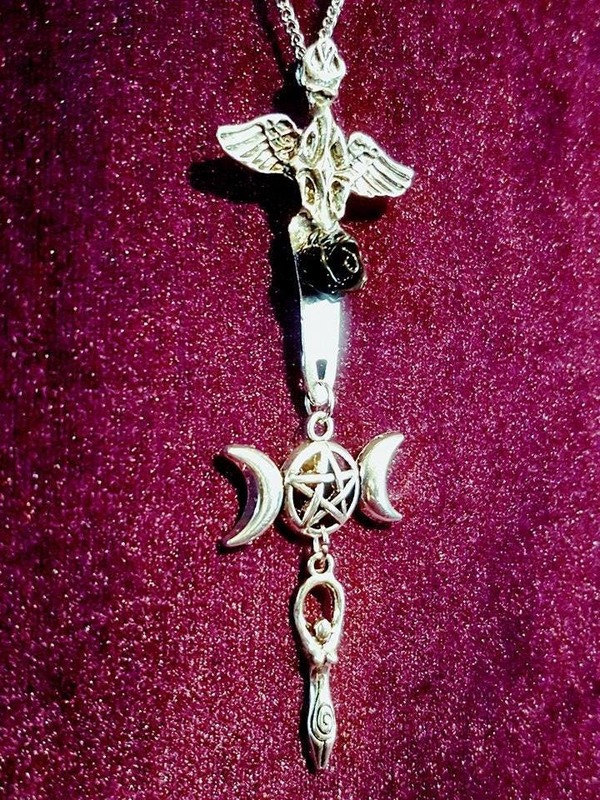 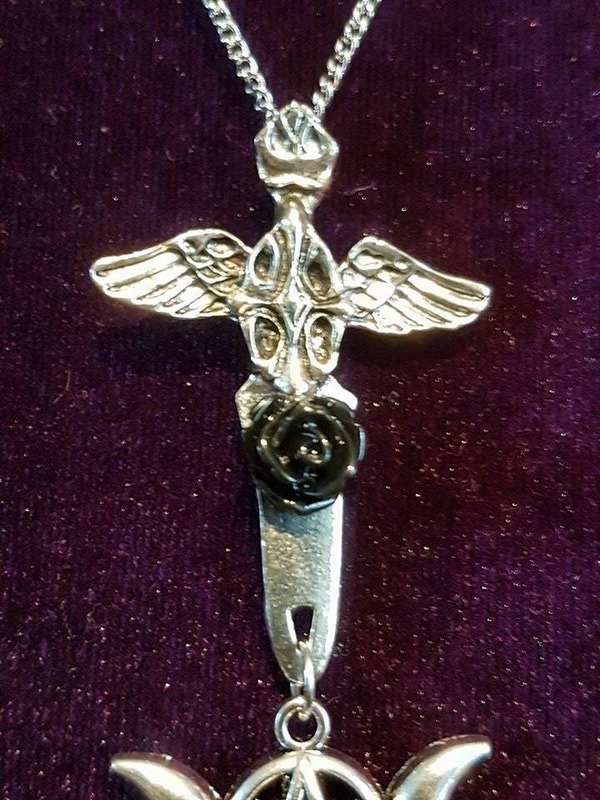 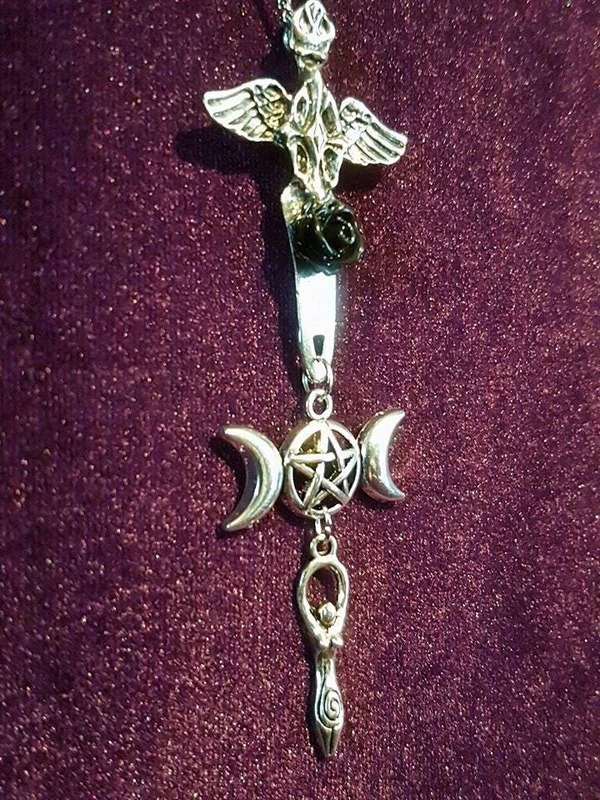 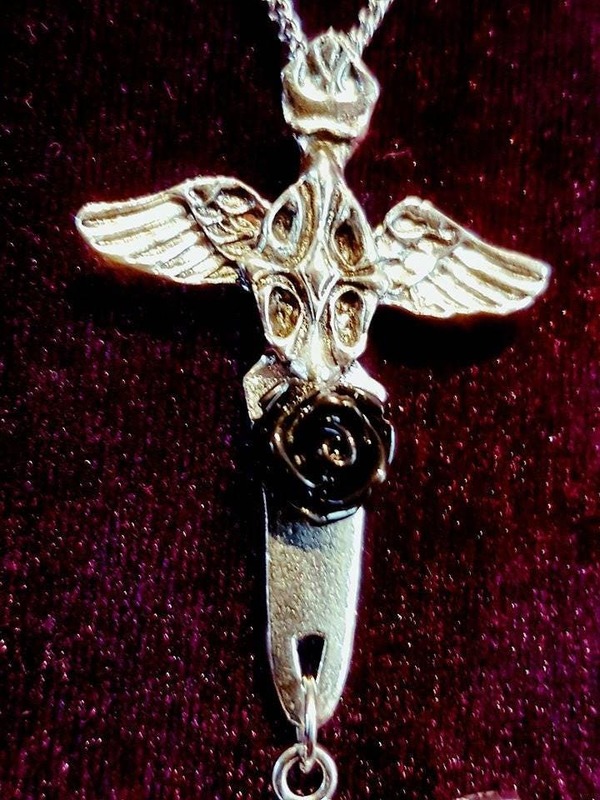 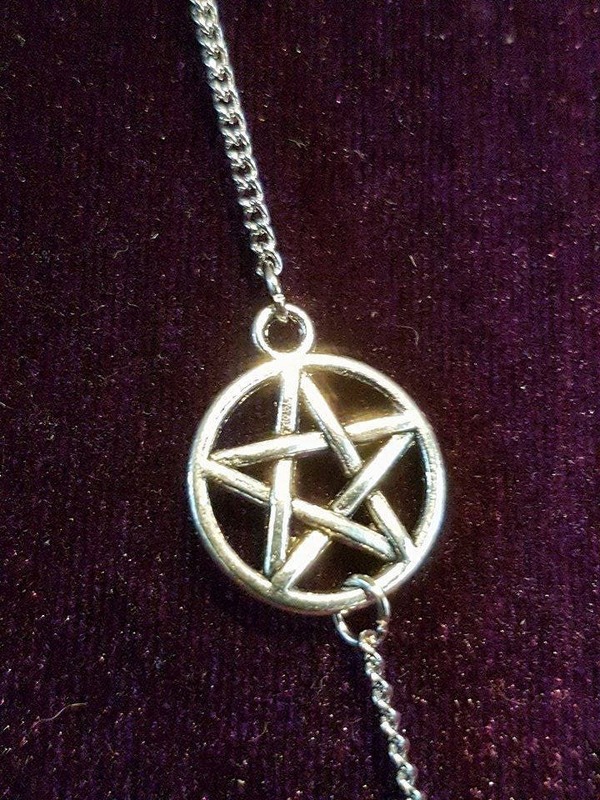 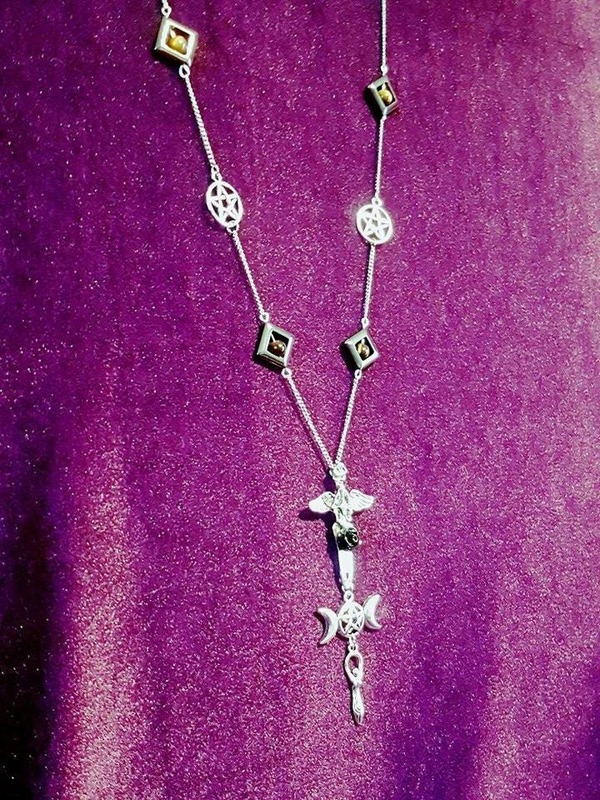 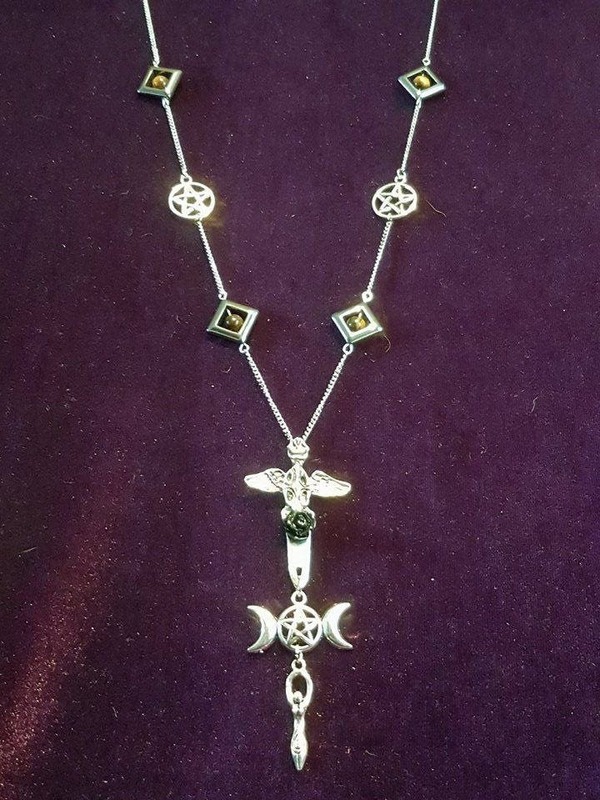 - with triple moon pentagram & athame with black rose. 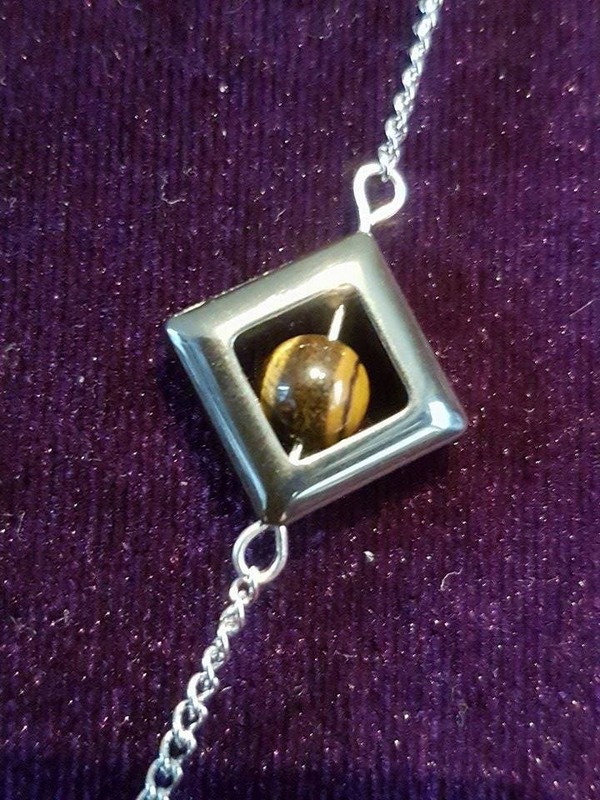 - Tigereye and hematite gemstones.